The Flipkart story, which started with selling books in 2007, comes to an abrupt end in 2016. On its website, that is. The milestone years are plotted like a rising line graph with geo-tag icons. 2010: India's best known start-up introduced cash on delivery, rocket launching e-commerce in a country that did not trust online payments. 2014: it bagged its first billion dollar-funding and acquired fashion e-tailer Myntra. 2016: it crossed 100 million registered customers. The rest of the graph, if completed, would look equally spectacular. 2017: Flipkart raised nearly $4 billion. 2018: the world's largest company by revenues, Walmart, paid $16 billion to buy 77 per cent stake - nearly $13 billion more than what it paid for Jet.com, its last major e-commerce acquisition; $5.5 billion more than its consolidated net income for fiscal 2018; $6 billion more than its capital expenditure on stores, e-commerce, technology and supply chain for the entire year; and $1.6 billion more than what it returned to shareholders through dividends and share repurchases during the year. What did Doug McMillon, President and CEO of Walmart, foresee that other corporations did not? Certainly not Binny Bansal, Co-founder of Flipkart, resigning within three months of the acquisition closing, after an investigation into allegations of "serious personal misconduct". The investigation did not yield enough evidence but found "lapses in judgement, particularly a lack of transparency, related to how Binny responded to the situation". This spooked some investors. Edward Kelly, a Wells Fargo analyst, popped the question during Walmart's third quarter earnings call on November 15. "Should we be concerned at all? Maybe any colour on the strength of the bench within that business?" Dan Binder, Vice President of Investor Relations at Walmart, responded saying the company was disappointed with the situation. "We've taken actions to change the reporting structure and we feel good about the bench. I think it's really important that when you look at a company like Flipkart, when you get to that size and that level of complexity, it's not only about one person," he said, and added, "Probably I wouldnt say much more than that at this point, but we're committed to India. We still really love the business. We're going to continue to push forward, but we felt it was appropriate to make the changes we did." Walmart has made some changes and will press for more. The question is how many. How will it change Flipkart, the growth-at-any-cost poster boy? Could Flipkart still be nimble under the watch of a $500 billion big-box retailer? And can Walmart help Flipkart compete better with Amazon, which is charging ahead in India? There is a near-term, mid-term and long-term answer to many of these questions. We wanted to hear Kalyan Krishnamurthy, Flipkart's CEO, answer these questions. The company, initially, agreed for a call at 10 am on November 21, but changed its mind. Krishnamurthy, Business Today was told, is travelling. Next, Flipkart agreed for an e-mail interview, but when the responses came in, they were from a "Flipkart Spokesperson". Kalyan Krishnamurthy now has dual responsibility of heading Flipkart and Myntra. All this reinforces our belief that the company is perhaps confounded with the transition. BT's narrative here is an outcome of what we saw, in regulatory filings, analyst reports, public speeches, and professional networks; of what we heard, from employees, former employees, the competition, lawyers, retail experts, and authors; and from what we experienced, when we visited Flipkart's and Myntra's headquarters in Bengaluru, a few months ago. The milestones story on Flipkart's website also misses the dramatic leadership changes that have taken place in the company. Sachin Bansal, who started the company with Binny Bansal, was the chief executive till January 2016. Binny Bansal, the Chief Operating Officer, subsequently took over as the CEO, while Sachin Bansal became Executive Chairman. In a year's time, it was time for change again. Binny Bansal was promoted as the Group CEO. The Flipkart Group has many entities. Three platforms - Flipkart, Myntra, and Jabong - form the company's core. The group owns the payments company PhonePe as well. Both Myntra and Jabong are fashion e-tailers; and Flipkart also sells fashion. Company executives are coy to say so in public but Flipkart Fashion competed fiercely with Myntra-Jabong. When Binny Bansal took over as Group CEO, Kalyan Krishnamurthy, who had earlier worked in the company as Head of Category Design, was appointed CEO of Flipkart marketplace, in January 2017. Ananth Narayanan headed Myntra and Jabong and Sameer Nigam was the chief of PhonePe. Narayanan and Nigam both reported to Binny. There was a reason behind the frequent changes at the top. Despite many milestones, Flipkart was wobbling. The rivalry with Amazon had started taking a toll and investors were turning aggressive. According to data from Venture Intelligence, Flipkart's valuation dropped 24 per cent when it closed a $1.4 billion-funding round in March 2017. Krishnamurthy steadied the ship over the next 17 months, fired non-performers, focussed on the key revenue categories of smartphones, fashion, and large appliances, while ensuring execution. Walmart has rewarded him with a step-up; one visible change, post the acquisition. Sachin Bansal, meanwhile, quit the company in May 2018, soon after the acquisition. With Binny Bansal too quitting Flipkart, Myntra's Narayanan would now report to Krishnamurthy, who in turn reports to the Flipkart Board. Krishnamurthy is like a Group head, although his designation remains the same and the payments business is outside his purview. Nigam would directly report to the Board. The idea is to house the trading businesses under one leader. Meanwhile, Jabong, which Myntra acquired in 2016, has been integrated into one backend, including the technology platform, supply-chain, marketing, and other functions. "Efficiencies will come in because everything will be managed by one team at the backend. As part of the process, some jobs become redundant. That is how efficiencies are brought in," a source close to the developments, says. "Myntra remains an independent team and will run the business with the same strategy, maybe a more aggressive one," he adds. About 200 jobs have reportedly been made redundant, but the company has not confirmed any number. 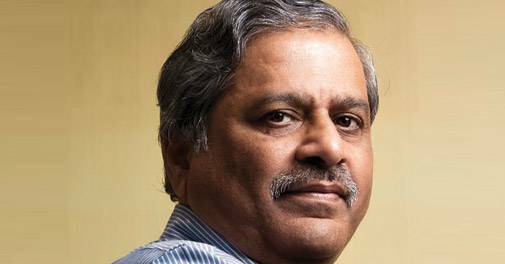 Govind Shrikhande, retail consultant and former Managing Director of Shoppers Stop, a department store chain, says that most of Flipkart's growth is coming on the back of enormous loss. While a technology company looks at customer acquisition, a traditional company like Walmart looks at Profit & Loss (P&L) first. "Both Myntra and Jabong making losses doesn't make sense as their customer base is almost similar. It is not possible for a large company like Walmart to not think about consolidation and rationalisation. They may not like to lay off, but when it comes to the company losing money, one has to save the company, than the individuals. If the company survives, more people will survive," says Shrikhande. Satish Meena, an analyst with Forrester Research agrees and says that Walmart will first change Flipkart's mindset. "Flipkart, coming from a start-up mindset, looks for only growth. They needed to raise the next round of funding and needed to show GMV (Gross Merchandise Value) growth. That is going to change now," forecasts Meena. "They will have a focus on growth but also profitability and cost reduction...things like Jabong merging into Myntra," he adds. A further indication of this is that the third quarter earnings call mentioned Flipkart 17 times and investor concerns included the impact on various line items in the P&L. When the acquisition was announced, Walmart expected a negative impact of 25-30 cents to its financial year 2019 earnings per share (EPS). In FY20, the company anticipates an EPS headwind of around 60 cents a share. On May 9, after the acquisition was announced, Walmart shares fell 3 per cent with many investors sounding sceptical. The fact that Flipkart is a loss making company and that it won't turn profitable any time soon played heavy on their minds. One analyst commented that "the only potential benefit to Walmart and its investors is that Walmart's backing potentially makes Amazon's fight for India more expensive". In the year ending March 2018, Flipkart's two main entities, Flipkart India Pvt. Ltd and Flipkart Internet Pvt. Ltd, lost Rs 3,226 crore, up from losses of Rs 1,885 crore in the previous year, regulatory filings sourced from Paper.vc, state. This means that losses increased 71 per cent. Amazon India, which operates many subsidiaries, appears to be burning double the money. Losses from just Amazon Seller Services Pvt. Ltd stood at Rs 6,287 crore in the year ending March 2018, up from Rs 4,831 crore in 2016/17. Amazon ascribed the losses to investments in "establishing infrastructure, opening new fulfilment centres, and technology advancement". The second visible change in Flipkart is around compliance. Since the Flipkart acquisition closed in August, Walmart has made four appointments. This tells us a bit about another short-term to medium-term priority - making sure that Flipkart is compliant with Walmart's governance framework, ethics, and much more. Or fix its weaker processes. 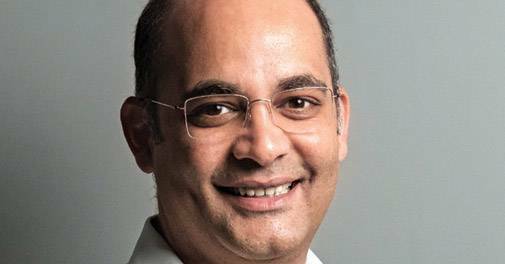 Daniel De la Garza joined Flipkart as the Chief Ethics and Compliance Officer in October. He was earlier at a similar position in Walmart Central America. He is an attorney with experience in corporate law and anti-corruption. Grant Coad has joined as General Counsel at Flipkart and was earlier with Walmart Canada where he led a team of compliance professionals. Emily McNeal is the new Group CFO. In her earlier avatar, she was Walmart's Global Head of mergers and acquisitions. Finally, there is Dawn M. Ptak, who joined as Vice President, Group Controller, in September, from Walmart China. Her LinkedIn profile talks of what she would focus on in India: "Lead process improvement initiatives and set the standard for strong compliance to internal controls"; "Ensure compliance to US GAAP & GAAP reporting... accounting policies"; "ensure financial statements are completed in a timely, effective, accurate, and efficient manner with strong financial controls and governance", among other things. Nigam, PhonePe's CEO, points out that the focus on corporate governance has to do with Walmart preparing the Flipkart Group for an eventual public listing. "Walmart is not here to run Flipkart. Walmart is here to help shore up Flipkart and I think that is in terms of systems, compliance, audits... all things that are needed to be IPO-ready, to be able to respond to the market every quarter," says Nigam, adding that this is a different world than what the group is used to. "That's where the influence is being felt." Flipkart, in its official response to BT's questions for Krishnamurthy, said something similar: "At Flipkart, we always believe that continuous improvement in processes and innovation is critical to create long-term value for stakeholders. Through continuous improvement in business processes, leadership and teams are working to make the company ready to execute its long-held aspirations for an IPO." 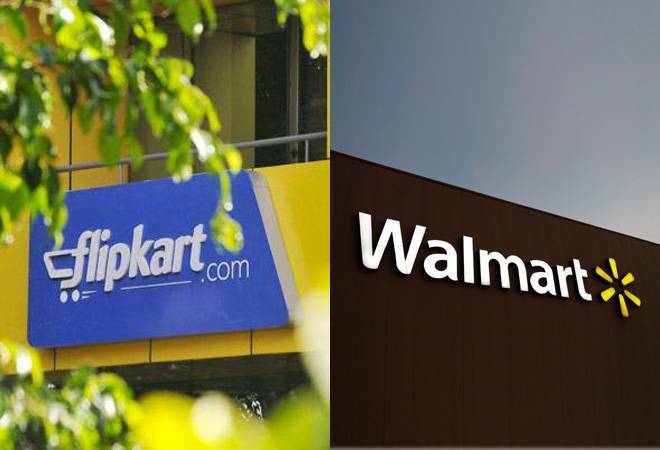 It is, therefore, not a surprise that Walmart is in the process of implementing practices under the Foreign Corrupt Practices Act (FCPA), which deals with bribing of foreign officials and ensuring accounting transparency, a lawyer closely associated with Flipkart told BT. "Flipkart did not have such strict adherence (but) now Walmart will ensure that these practices are followed. Another part is the code of ethics, which will perhaps be strictly implemented," he says. It would, however, be wrong to conclude that Flipkart didn't have strong processes, says an employee who didn't want to be named. "Flipkart has great processes. The policies are people friendly. However, compliance is always about continuous improvement," the employee says. Flipkart, for instance, has in place a Prevention of Sexual Harassment Policy. During the year-ended March 2018, the company received three complaints of sexual harassment, which were then investigated, and two were disposed, according to the company's annual filing with the Ministry of Corporate Affairs, sourced from Paper.vc. "In all the cases, the investigation was duly conducted and the matter was settled appropriately, by issuing warning letter(s)," the company discloses. Globally, Walmart is a very compliant company, says a Partner of another prominent law firm that works with multinationals, but didn't want to be named. "Because they are so much in the public eye, even a small thing gets blown out of proportion. I won't be surprised if they overstaff the legal or the compliance function." During the acquisition deal, Walmart proceeded with extreme caution, breaking up the legal work among three-four law firms "so as to maintain objectivity and get best advice. Most of the Indian law firms also had an overseas counterpart." It would be interesting to watch how Walmart deals with FDI related disputes. Flipkart, and other marketplaces including Amazon, from time to time have been accused of violating India's Foreign Direct Investment (FDI) norms relating to e-commerce, primarily around ownership of stock and discounting. As per the central government's Press Note No.3 of 2016, FDI is not permitted in inventory-based model of e-commerce. The note also says that marketplaces aren't allowed to influence the sale price of goods and services. Walmart's processes extend to other aspect of the business too. For example, its motto is 'Every Day Low Price'. The company buys for less, operates for less, and then sells more. This is a productivity loop. Anything that doesn't fit into the low-cost motto is unacceptable. Its employees are not allowed to accept gifts as that increases the cost of doing business for the supplier. When executives can't say no to a gift, for instance in a situation like an investment summit where they could be gifted a shawl, they drop it in an 'ethics box' in the company with a note. Executives don't fly business class, because that's incurring higher costs in operations and someone pays for it, which is ultimately the customer. Walmart also has stringent compliance norms for suppliers. The supplier cannot use child labour, and has to pay workers' wages on time. The workplace has to be safe. New suppliers initially find compliance difficult but over time, get used to the culture. Ditto for new employees or newly acquired companies. The focus on 'Every Day Low Price' is where Walmart starts resembling rival Amazon in some ways. Or the other way round. Amazon's strategy has three pillars - selection, convenience and pricing. It works at removing costs in its ecosystem, which then lowers the price of selling a product. Sellers are, therefore, empowered to offer a low price. Amit Agarwal, Vice President and Country Manager, Amazon India, told BT last year that the e-tailer's job was to bring the right kind of demand to sellers. "It is about finding a few moments in a year where there is a high propensity to shop. Republic Day or Diwali. We advertise to bring a lot more customers to the seller. Because on these events, the (number of) customers coming to the sellers are so high, they have to make lesser absolute rupee on every transaction. Our business model is based on systematically removing line item of costs in a business P&L," he had said. Flipkart, thus far, has followed a similar strategy and has been exceedingly successful at it. An analysis by research and advisory firm RedSeer Consulting found that Flipkart beat Amazon by a substantial margin in the Diwali sales of 2018. Flipkart accounted for more than half of the GMV for the entire industry during the sale period of October 9-14, 2018. The e-tailing industry raked in a GMV of Rs 15,000 crore or about $2.3 billion. Amazon accounted for 32 per cent of this. Amazon disputed the numbers, questioning the research methodology. Although Amazon started in India six years after Flipkart, in 2013, it grew fast. Forrester Research estimates yearly marketshare numbers: In 2017, the Flipkart Group (including Myntra and Jabong) garnered a GMV marketshare of 38.7 per cent versus Amazon's 32 per cent in India's nearly $20 billion e-tailing market. If you dive into the key categories, the share of Flipkart in online fashion is disproportionally high at 55 per cent while Amazon is pegged at 17 per cent. But Amazon appears to be catching up fast in smartphone sales with a 39.5 per cent share in 2017 compared to Flipkart's 47 per cent. In the year ending March 31, 2018, Flipkart recorded a GMV of $7.5 billion and net sales of $4.6 billion, a growth of more than 50 per cent from the year before, Walmart disclosed during the acquisition announcement. Flipkart has more than 150 million registered users and nearly 20 million people visit its site or app everyday (Flipkart did not confirm the number of daily visits). 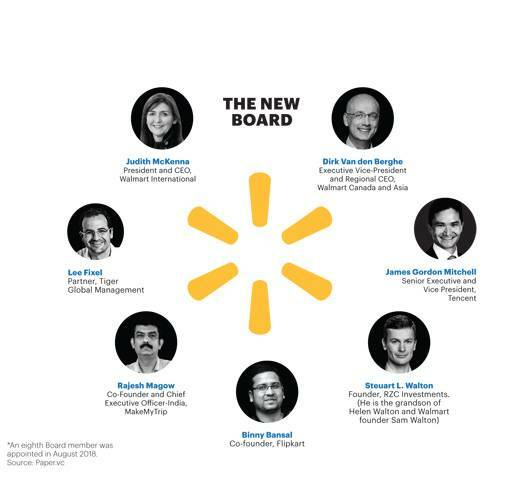 This is what Walmart CEO McMillon saw - an Indian start-up that is a match for Amazon. Flipkart would add an edge to the company with its innovative culture, focus on exponential technologies such as Artificial Intelligence and robotics. This is what could play out over the long-term. Walmart's e-commerce business in the US is no match to Amazon.com's which commands a 48 per cent share of projected retail e-commerce sales of $526 billion in 2018, according to data from eMarketer. Walmart's share is a tiny 4 per cent of all online retail spending, or about $21 billion. Nonetheless, Walmart's ranking in the US pecking order has jumped to No.3 from No.4 in 2017. While it displaced Apple, Ebay holds on to its second position with 7.2 per cent share. eMarketer's Principal Analyst Andrew Lipsman says in a note that Walmart's "e-commerce business has been firing on all cylinders lately". He adds that "the retail giant continues to make smart acquisitions to extend its e-commerce portfolio and attract younger and more affluent shoppers. But more than anything, Walmart has caught its stride with a fast-growing online grocery business". Walmart, for many years, underinvested in technology and e-commerce. While Walmart.com started in 2000, its e-commerce strategy probably started falling in place only after its 2016 purchase of New Jersey-based Jet.com. Next, it formed an alliance with JD.com in China. Other e-commerce brands in its portfolio include hayneedle.com, shoes.com, moosejaw.com, modcloth.com and bonobos.com. Walmart has now started allocating more capital to e-commerce and technology, and less to new physical store openings. 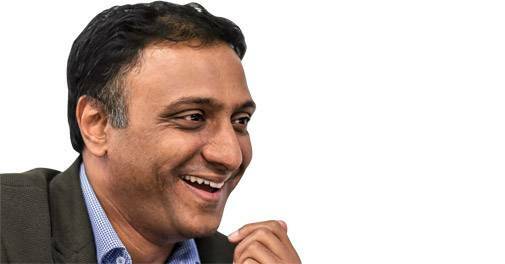 Flipkart, feels retail consultant Shrikhande, is just one of the pieces in Walmart's larger India game plan. The overall retail market in India is worth $700 billion and moving towards $1.1 trillion. "This is one of the biggest markets that is available. China is saturated, and Walmart hasn't done too well in markets outside of the US. With no major big player in sight in India, there is scope for them to make it among the top four retailers from an omni-channel perspective. They already have Flipkart and as and when Foreign Direct Investment opens up (FDI in multi-brand retail isn't allowed), they will acquire a few companies. That should be the objective," he says. But before Walmart expands, it remains to be seen how the retail behemoth deals with Flipkart's growth mindset versus its obligation to investors. As of now, its executives stress that they would let Flipkart be Flipkart. So, even as they strengthen the governance framework, they would try and preserve the start-up DNA. "One of the things we have learnt over the years operating in 28 countries is that retail is local and speed matters... being on the ground, understanding the customer, being able to act," McMillon told journalists in Delhi after the Flipkart acquisition announcement. "Shared values and common processes where it makes sense, but other than that, local." Company watchers also think that Walmart has a lot to gain by letting Flipkart run independently. "The key is to not turn Flipkart into Walmart," says Charles Fishman, author of The Wal-Mart Effect. "Because Walmart hasn't figured out e-commerce yet, even after 18 years." Walmart bought an Indian company with its own culture, instincts, "and they also bought years of data of how consumers behave. The entire success is built on consumer behaviour. So the question is if Walmart can stay out of the way of Flipkart when it does what it does brilliantly and step in to help when it needs help. To help and where to step in is a question of judgment," adds Fishman. "This is the largest acquisition in the history of the company. Everybody in the largest company worked for an entire year to let them buy. That's a big bet - you don't spend $16 billion and not make it work." What is it that Flipkart has figured out and what exactly does it do "brilliantly"? There is an intoxicating energy about Flipkart's colourful office, off Bengaluru's Outer Ring Road. The meeting rooms have rhyming names: Adhu Idhu, Maska Chaska, Theek Thak, Upar Neeche, Aage Peeche, Avaru Ivaru, and Chup Chap. There is no beer or wine, or in-office happy hours like in Jet.com's headquarters in New Jersey; water bottles and filling sandwiches substitute for the desk-side drinking culture of Jet.com. The intoxicating energy in Flipkart comes from the people. Inside the meeting rooms, digital screens display three phrases: Audacity, Bias for action, Customer First. "As an organisation, we have always punched above our weight. This has kept us afloat today. And it will keep us afloat for the next 20 years," Sandeep Karwa, Senior Director with Flipkart, had said when BT met him earlier this year. He currently heads the Televisions and Appliances business, and was earlier part of its Smartphones business. Flipkart showed audacity in its inorganic growth, the risky bets it took with several acquisitions. Some of them paid off, like the purchase of electronics e-tailer letsbuy.com in 2012 and that of Myntra in 2014. These two acquisitions established the company's clout in electronics and fashion categories. The bias for action and the customer first approaches have resulted in innovations around business models, operating models, as well as technology. Around 2012, when Karwa joined Flipkart, the company wasn't selling many smartphones. There were bigger categories such as computers and books. Consumers had little incentive to buy phones online because they were available in retail shops in every neighbourhood. Flipkart came up with a trigger: 'Exclusives', or phones that are not available offline and only on its site. "We needed to find a brand and a partner who was ready to believe in this crazy thought and make a big bet. We were punching above our weight. That is how Motorola and Xiaomi conversations happened," Karwa recollected. Flipkart launched Moto G in February 2014 and Xiaomi phones in May. Most e-commerce companies in India now peg their strategies on exclusive partnerships. Thanks to these exclusives, Flipkart was able to sharply lower the prices of televisions and other large appliances. The traditional electronics distribution in India had a manufacturer, regional distributors, dealers, and retailers. Everyone kept a margin spiking what consumers paid. Direct selling ended that. "Consumers have started buying products which they thought they will be unable to afford. There is a self-confidence boost when you purchase a double door-refrigerator or a large TV for the family. This is what we are tapping," Karwa said. For instance, a Midea 6 kg front-load automatic washing machine on Flipkart is available at Rs 13,999. In physical stores, this would cost at least Rs 10,000 more. As even Rs 14,000 could be the monthly take-home for many families, Flipkart next innovated on a financing model: a no-cost EMI on debit cards for online purchases. This is available only to customers with a good track record; Flipkart's data allows the website to "white-list" such customers. When BT met Karwa in June 2018, he expected to double the TV and Appliances business from Rs 4,500 crore in 2017/18 to Rs 9,000 crore by March 2019. The company did not update these numbers. Technology innovations are palpable in Flipkart Group's fashion businesses as well. 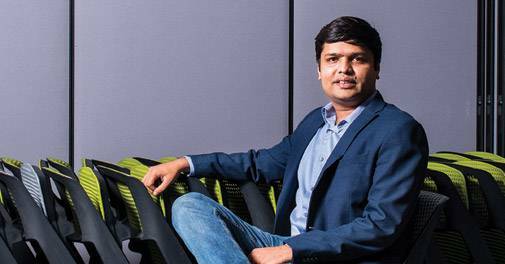 In August this year, BT caught up with Rishi Vasudev, the Vice President of Fashion, Home & Furniture business at Flipkart, who said that in calendar year 2017, Flipkart Fashion (excluding Myntra-Jabong) turned in a billion dollars of GMV. Vasudev predicted a 65 per cent growth in 2018. Behind this growth are small tweaks. Flipkart's search engine, for instance, can figure out that people are looking for sunglasses when they type kala chashma or a pink lehenga when they search for 'Anushka's wedding lehenga'. Its machine learning algorithms can suggest better sizes - a complex problem in fashion e-tailing. Vasudev's team also built a more personalised experience for those accessing the app from premium mobile devices. "The experience is much cleaner and engaging for a premium consumer. Here, there is segmentation by brand and price affinity," Vasudev said, adding that this concept was similar to the offline world. "One department store that opens in a mass mall would have different products than in a premium mall. The merchandise, the look and feel of the shop changes." Myntra, meanwhile, has created a private label brand Moda Rapido without any human designers. The jeans, tees, and dresses are designed and tested by machines. "We are the first guys to develop an AI-based brand," Narayanan, CEO of Myntra, had said. "It is a $20 million-business and growing at 200 per cent year-on-year. A machine creates hundreds of variations of a design based on data from our sales, (and) what's trending on social media. Then a programme determines the ones that could be best selling. We make that and have it live on Myntra in 45 days." The machine is not allowed to copy a design, or use any logos that are proprietary. Myntra also has an offline play. Roadster, a casual denim private label brand, and already a $100 million-business, has three offline retail stores - two in Bengaluru and one in Pune - and the company operates through franchisees. Narayanan pointed out synergies with Walmart here. "Our plans will get accelerated. First is the longer-term thinking, second is the emphasis on how we grow, and third is that we can learn a lot on an omni-channel. There is also an opportunity to take some of our private brands global," the CEO had explained, talking about how Walmart would change Myntra. BT met Narayanan at Myntra's office in Bengaluru in August. By October, one of Myntra's private labels, All About You, launched in Walmart Canada. Walmart is likely to bring in other best practices over the next three years. Expertise around transportation and supply-chain are two of them. Grocery will be another; nearly 60 per cent of Walmart's business is food. There are long-term conversations starting to take place around mutual learnings, the best practices from 28 countries, and adapting them to the local market. 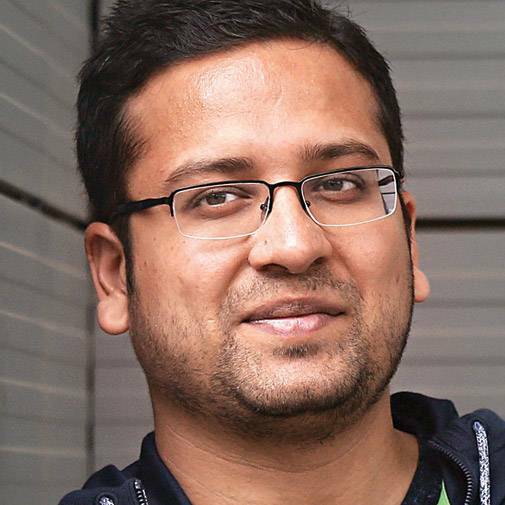 Binny Bansal had hinted as much to journalists in Delhi, soon after the acquisition. McMillon and Krishnamurthy stood close by. "If we can leverage Walmart's capabilities on the organisation side, on the operation side, that will be great for us." Tags: Flipkart story | Walmart-Flipkart deal | cash on delivery | e-commerce | Myntra | Walmart | Jet.com | Doug McMillon | Binny Bansal | Amazon | Kalyan Krishnamurthy | Sachin Bansal | Jabong | PhonePe | smartphones | fashion | Govind Shrikhande | Amazon Seller Services Pvt.